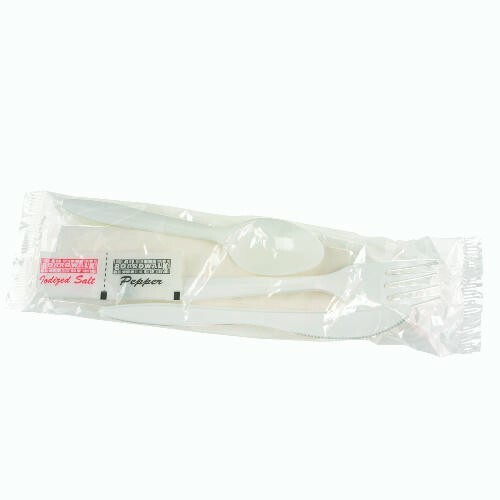 Mediumweight polypropylene cutlery. Fork, spoon and knife. 250 kits per case.